These super fluffy pancakes are sure to be a showstopper at your next brunch party! This recipe is quick, easy, and doesn’t require any buttermilk! 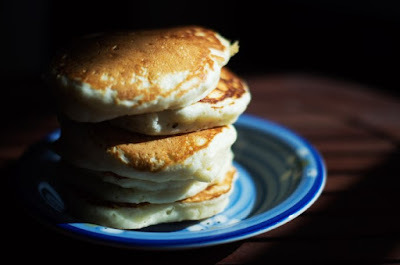 Admit it, a world without pancakes would be bleak, maybe not even worth living in. You love pancakes, don’t you? You do. It’s okay, I do too. My favourite thing about pancakes (other than eating them, of course!) is watching maple syrup drip off the edges of my pancake tower, like some sort of sun-kissed waterfall. Combine flour, sugar, salt, and baking powder into a bowl and mix well. In a separate bowl, mix the egg, milk, vanilla, and melted butter together. Be careful not to use hot, melted butter, as that may end up cooking your eggs! Pour the wet ingredient mixture into the dry ingredients and stir till mostly incorporated. The batter should be thick and a little lumpy, but without any visible streaks of flour. If it is too thick to work with, add a little milk. Set the batter aside for 5-10 minutes. Heat a heavy-bottomed, non-stick pan over a low-medium heat and coat it with oil. Use a 1/4 cup measure to scoop and drop the batter into the pan so that you get evenly-sized pancakes. Cook until the first side is golden brown, or until the top surface forms bubbles. Flip and repeat on the other side. Adjust heat accordingly. Serve while still hot. 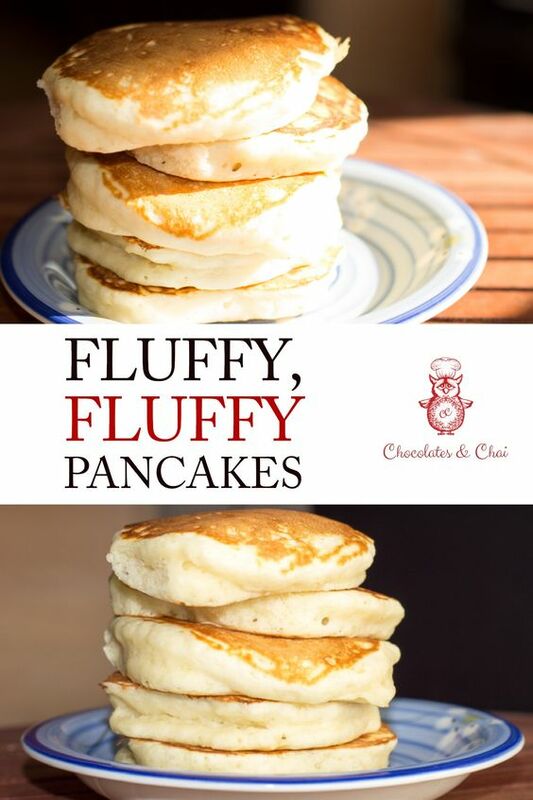 0 Response to "FLUFFY, FLUFFY PANCAKES"